East West Players (EWP), the nation’s longest-running professional theater of color in the country and the largest producing organization of Asian American artistic work, is pleased to announce that its Theatre for Youth (TFY) touring production, Tam Tran Goes To Washington—which commenced in the Spring of 2018 and caters to middle and high schools, community colleges, and universities in Greater Los Angeles—will be extended through the Fall of 2018. Written by Elizabeth Wong and directed by Marilyn Tokuda, Tam Tran Goes To Washington tells the story of Vietnamese American youth activist and student Tam Tan and her Latina American best friend Cinthya Felix, who are both undocumented. After Tam testifies on behalf of the DREAM Act to Congress, her family is detained. She successfully rallies for their release. Tam and Cinthya continue to advocate for the DREAM Act while pursuing graduate school, but they are tragically killed by a drunk driver in 2010. Their legacy lives on in the DREAM Act, DACA (Deferred Action for Childhood Arrivals), and in this play. “Through the Theatre for Youth tour, East West Players has created a space to humanize and engage in dialogue about immigration reform. We are excited to continue this touring production into the fall. The presence of this play is timely. With the uncertain nature of the DACA repeal, we at EWP feel a responsibility to continue our work in social justice and awareness. As arts educators, we see time and time again, that youth are leading the way for social equity and we are honored to be able to produce art that highlights youth that have led a way, especially for undocumented students,” says EWP Arts Education Director Carolina San Juan. Tam Tran Goes To Washington stars Lynn Cao, Tara Cox, Thi Nguyen, and Noelle Rodriguez. This touring production, which ran from February to April 2018 for 30 performances, will be remounted from September to November 2018 for 30 additional performances at LAUSD schools, the Los Angeles Community College District (LACCD), and the California State University (CSU) and University of California (UC) systems. Created in the early 1970s, EWP’s Theatre for Youth program was designed to promote cultural understanding and racial tolerance among youth. Today, the program strives to expand the history and curriculum to feature stories about pioneering and groundbreaking Asian Pacific Americans. EWP’s Theatre for Youth touring production offers students new ways to see the world through theater, and to encourage and empower them to discover the prominent roles Asian Pacific Americans have played in American history. For Tam Tran Goes To Washington, EWP has partnered with UCLA Labor Center and Los Angeles Community College District’s Dolores Huerta Labor Institute, organizations that have shown support for undocumented youth. This project is made possible by generous support from the City of Los Angeles Department of Cultural Affairs (DCA), Los Angeles County Arts Commission, The Green Foundation, The Ralph M. Parsons Foundation, and Dwight Stuart Youth Fund. 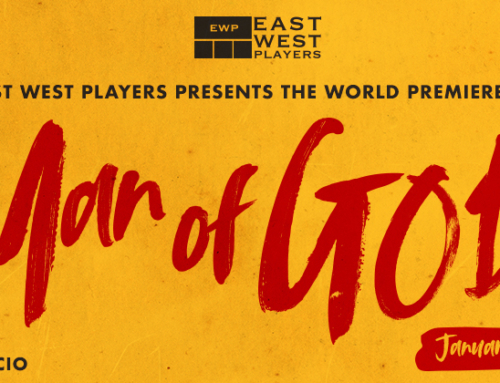 As the nation’s premier Asian American theatre organization, East West Players produces artistic work and educational programs that foster dialogue exploring Asian Pacific Islander (API) experiences. Founded in 1965, at a time when APIs faced limited or no opportunities to see their experiences reflected outside of stereotypical and demeaning caricatures in the American landscape, EWP not only ensures that API stories are told, but works to increase access, inclusion, and representation in the economy. For more information about East West Players and its Theatre For Youth program, please visit eastwestplayers.org.